The original and the best Gutterline stops gutters leaking. Easily, efficiently, cost effectively, and for good ! 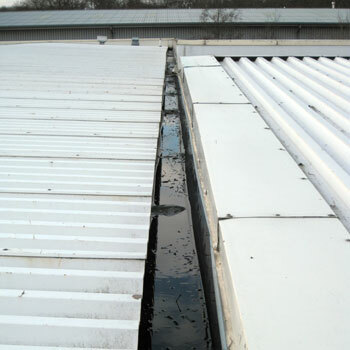 We are approved installers of the Plygene Gutterline system for commercial flat roofs. 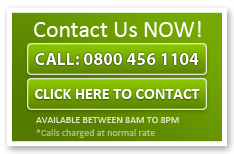 The material is incredibly hard-wearing and carries a 20 year guarantee. It is pliable enough to mould to any gutter profile and will tolerate changes in temperatures and building movement without splitting or cracking. The unique Gutterline guttering repair system creates a totally sealed, fully waterproof ‘gutter within a gutter’ leaving the original gutter untouched so there is no need for any structural work or disruption. Why Choose Plygene Gutterline ? Plygene Gutterline is the only BBA approved system to stop gutters leaking, for good. It can be used on all sizes and types of buildings, from old industrial mills to modern shopping malls, on all kinds of roof and for any gutter profile, including large box type found on large commercial buildings. Because Gutterlineis made to measure for every project, a perfect fit is guaranteed and stops gutters leaking, for good. 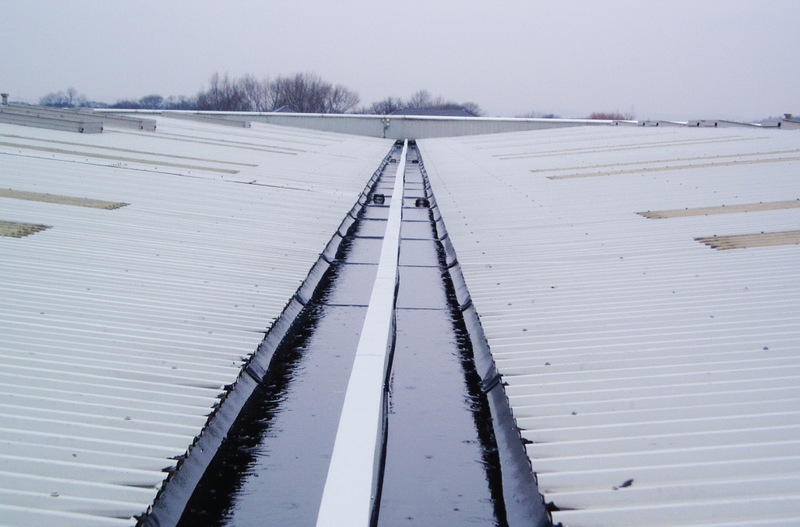 Even gutters over four meters wide and in excess of 200 meters in length have been successfully lined with a single, one-piece Gutterline installation. Gutterline is equally effective on north light roofs with lots of valley gutters as it is on perimeter and boundary gutters. And it works with any original gutter structure, whether it is cast iron, steel, asbestos, concrete, timber or modern fibre materials. Plygene Gutterline can be tailored to match any roof design and rainwater run-off system, and can include corners, t-junctions, overflows, weirs, symphonic outlets, and side boxes. 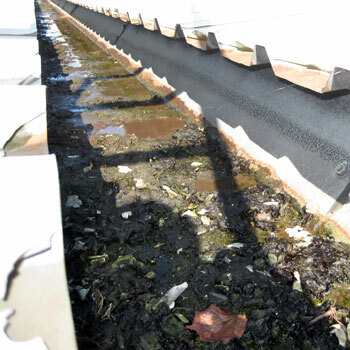 Plygene Gutterline offers a permanent solution to those costly leaks and damp spots from Finlock type, sectional concrete gutters. This is why it is now the fully approved system of choice for local authorities, housing associations, the MOD, NHS and thousands of private home owners. Plygene Gutterline is suitable for all 3 types of finlock gutter profile, ROYSTON, TYPE G, TYPE N, leaving the original gutter untouched, so there is no need for any structural work whilst repairing the guttering. Plygene Gutterline addresses both the outer and inner troughs making it impossible for water to get behind or beneath. It also incorporates a heavy duty plygene sarking angle fillet for the tile drip edge, designed to deflect all run-off water into the outer trough.